It’s time to switch to a cleaning company that cares. Professional house cleaners, the strictest guarantees and transparent, personal service are all part of the Krystal Klean Express difference. A clean and tidy house is one of the secrets to creating a happy home. Whether you are about to vacate or are a landlord, our team will give you the edge. 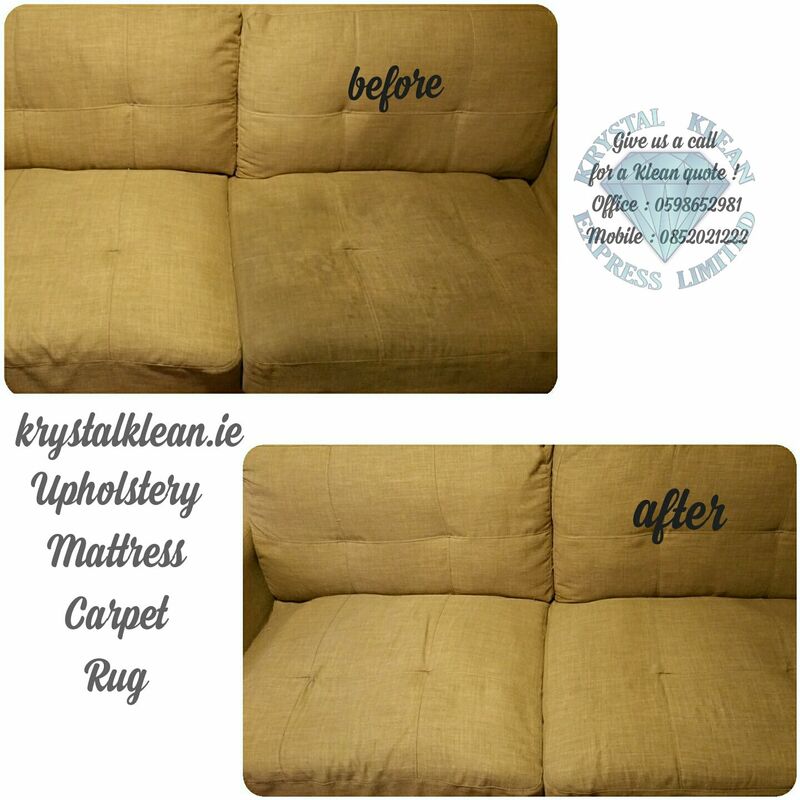 We offer House Cleaning,End Tenancy Cleaning Dublin and we are equipped and prepared to tackle any job. Our service is 100% satisfaction guaranteed. We strongly believe that our prices are affordable and can fit to the budget of every family. We serve professional house cleaning service all over Dublin area, so don’t worry about your area and get a cleaning quote. We have years of experience in everything domestic,commercial,industrial cleaning. With a lot of happy clients each and every week you just know that you can leave your house cleaning in our trusted hands. 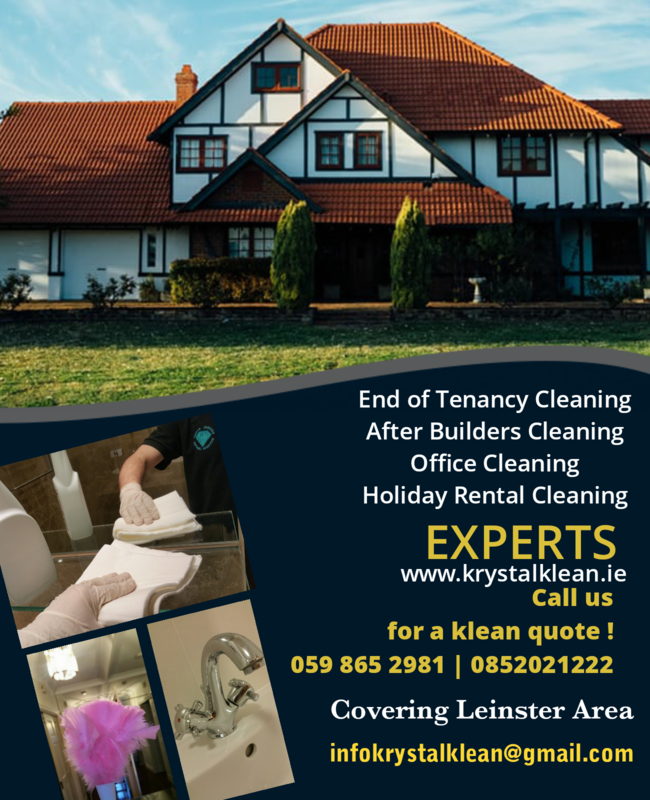 If you want the best End Tenancy Cleaning Dublin then look no further than Krystal Klean Express Limited. 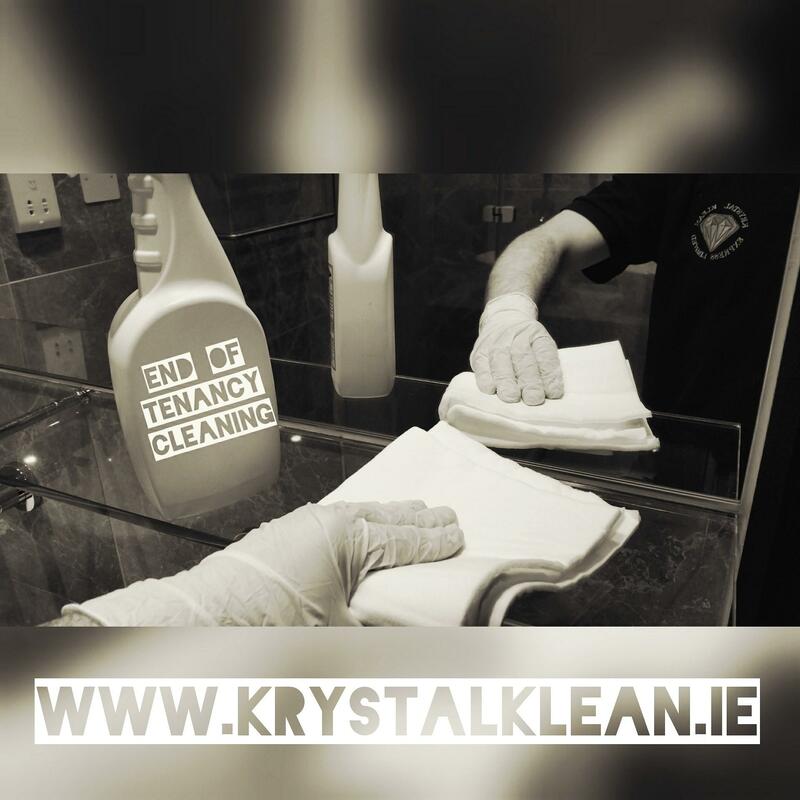 We’ve built a name for ourselves providing reliable, honest and high quality domestic cleaning services to homes all over Dublin. North Inner City: Abbey Street, Amiens Street, Capel Street, Dorset Street, Henry Street, Mary Street, Mountjoy Square, Marlborough Street, North Wall, O’Connell Street, Parnell Square & Talbot Street,Merrion Square, Temple Bar, Grafton Street, Dame Street, Leeson Street and Wexford Street, St. Stephen’s Green.